Regain access to your porch, deck, or second level without sacrificing space with a compact residential vertical platform lift. 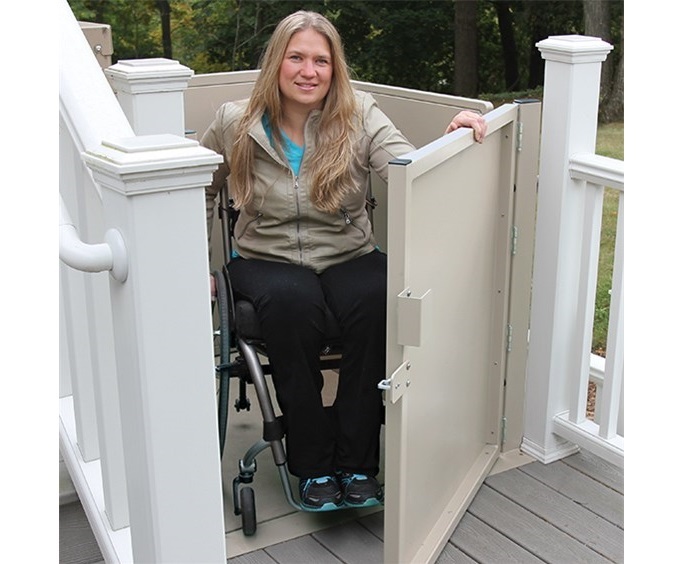 The quiet, smooth lift accommodates any wheelchair, power chair or scooter. Lifeway Mobility offers wheelchair lift models that can be installed in commercial facilities or homes to transport power wheelchairs or scooters. A Lifeway consultant will provide a free on-site evaluation of your home or facility to help determine your needs, and your wheelchair lift will be installed by our certified tech team.